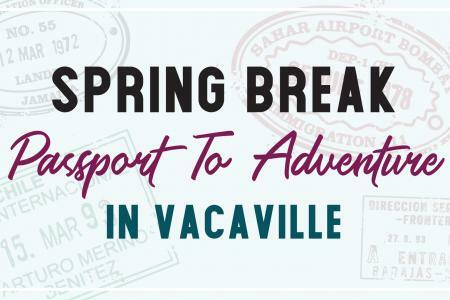 Spring in Vacaville is full of lush green landscapes, gorgeous blooming trees, and you can’t help but get that itch to be outdoors as much as possible. 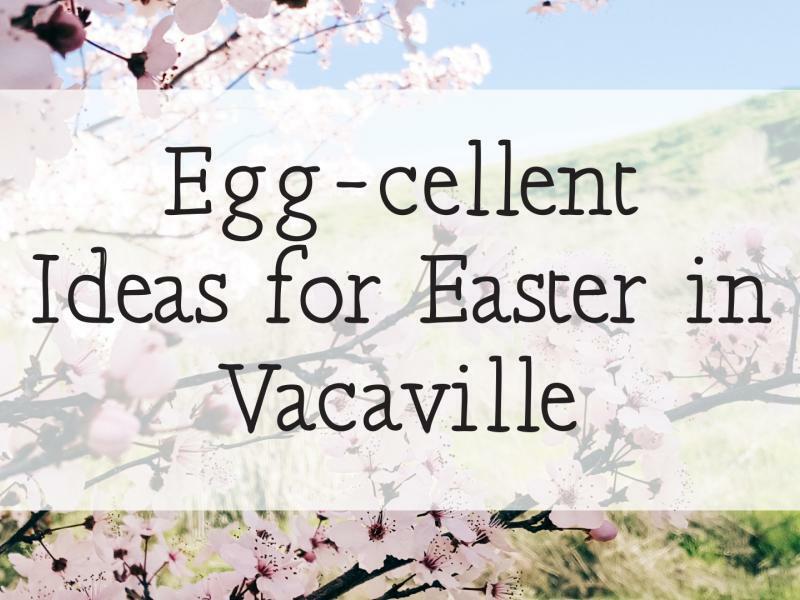 If you are lucky enough to be in Vacaville during April and want to have a bit of Easter fun, please read on, there is celebrating and fun to be had by all! Celebrate Easter with the City of Vacaville on Saturday, April 20th in Andrews Park! This community-wide event is fun for the entire family from 10 am to 1 pm, and the official Egg Hunt begins at 10:30 for 4 years and under, 11:30 for children ages 5-12 and 12:30 for the doggies! Bring family and friends for free egg hunts, games, bubbles, bounce houses, and face painting. Have breakfast with the Easter Bunny at the McBride Senior Center in Vacaville Saturday, April 20th from 8:30 - 9:30 am. Join the Easter Bunny and his friends as we celebrate the season with a Breakfast Bonanza! Enjoy all-you-can-eat pancakes, two sausage links, and your favorite beverage and create spring-themed crafts. Awesome Easter Baskets will be raffled. Pre-registration required, register in person at any Vacaville Community Center or by calling 707-469-4000. Visit the Easter Bunny this Easter season at the Jelly Belly Visitor Center! Visit with the Easter Bunny in the Tangerine Room, located upstairs at the Jelly Belly Visitor Center! Professional photos available for a $10 purchase or bring your own camera to capture your special Easter memories! Check the calendar online at www.JellyBelly.com for times and dates. Please note, times and dates may vary and are subject to change. April 11-20 Complimentary candy factory tours are open daily, 9 a.m.–4 p.m. at One Jelly Belly Lane, Fairfield. For more information, please call (800) 953-5592 or visit www.JellyBelly.com. The factory will be closed Easter Sunday, April 21. Make the most unique Easter gift ever! At Sweet Pea's Succulent Workshop, you have your choice of Small, Medium or Large size wooden cross to fill with succulents! Depending on the size prices range from $49-$110. Workshop includes your wooden cross, succulents, and moss. It's a creation that will grow and live on long past Easter! Western Railway Museum's scenic trains are ready to roll for Easter weekend! Board our special 3-car train for a leisurely scenic trip through rural Solano County and enjoy the beautiful spring countryside! A small extra fare secures a seat in our vintage restored observation lounge car, where refreshments are served by our friendly volunteer staff.